At the MRC MHU we aim to understand how stem cells produce mature blood cells in a healthy context, and how this process is perturbed in common blood disorders. Our ultimate goal is to improve the prognosis of patients with inherited and acquired blood diseases. The MRC Molecular Haematology Unit (MRC MHU) was founded in 1980 and is located in the MRC Weatherall Institute of Molecular Medicine, University of Oxford, at the John Radcliffe Hospital. The Unit includes 14 research teams with over 100 scientists who share a common interest in understanding the process by which multipotential haemopoietic stem cells become committed and differentiate into the highly specialised cells found in the peripheral blood (red cells, granulocytes, lymphocytes and platelets). We also study how these processes are perturbed in acquired and inherited blood diseases such as thalassaemia, myelodysplasia and leukaemia. Our work is closely integrated with the provision of NHS service to patients with blood diseases via the clinical Department of Haematology. 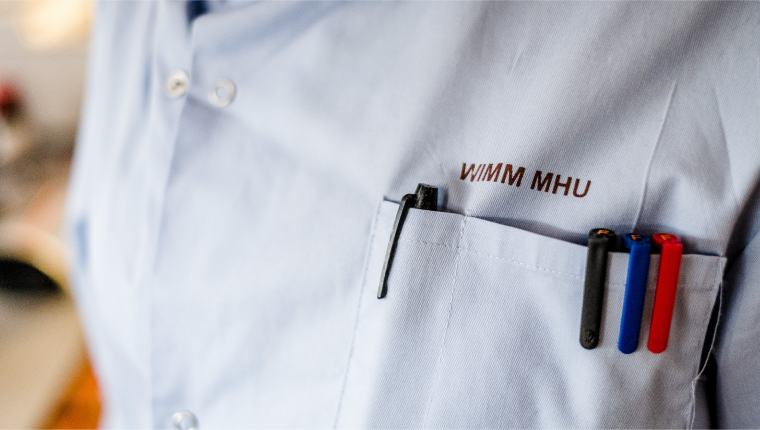 Several permanent members of the MRC MHU are practicing clinicians working in the University’s Department of Haematology and Paediatrics, providing the Unit with access to clinical material and ensuring that our scientific developments are rapidly translated into improved clinical care.